A few weeks ago, the school board in Glen Ellyn, Illinois, voted 4-2 to remove The Perks of Being a Wallflower from district classrooms. The school board is reviewing their decision on June 10, and we need your help defending the book! The Perks of Being a Wallflower has been widely praised for its candid treatment of teenagers, touching on topics such as suicide, sexual abuse, homosexuality, masturbation, and consumption of alcohol. These topics have also led to widespread challenges of the book, frequently putting it on ALA’s annual list of the most challenged and banned books. One set of parents called for the removal of the book from Glen Ellyn classrooms, despite the fact that it is not required reading and their daughter was allowed to stop reading the book because it made her uncomfortable. A review committee comprised of teachers, parents, and administrators met to review the challenge, and the committee recommended that the book be kept in district classrooms. In spite of the recommendation, the school board — a group comprised of bankers, real estate agents, and former lawyers who do not have any pedagogical experience — voted to remove the book. In doing so, the board effectively let one set of parents decide for the entire community what their children can read. 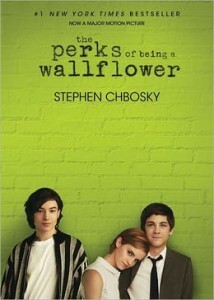 I am writing to ask that you please vote to unban the book The Perks of Being a Wallflower in D41 middle schools. I support the teachers, principals and superintendent who have worked to write letters that will inform parents of their rights and responsibilities when it comes to free reading in D41 literacy classes. While not every book may be right for every child or every person for that matter, no one should be able to tell others what they can or cannot read because of their subjective idea about what is or isn’t appropriate. If you ban this book, what comes next? Please unban this book on June 10 — support the freedom of choice for all students and parents in Glen Ellyn. We aren’t alone in our letter writing campaign, but some of the people writing letters to the Glen Ellyn school board are doing so in defense of the ban. Help us make sure that the voices in support of the right to read are more numerous and louder than those who would take that freedom away. The Glen Ellyn school board is meeting Monday, June 10, 2013, so we only have a few more days to be heard — send a letter today!